AU RIXEY 265 2013 SUPER FROM NEMELKA AND RIXEY BRED BY BRAD HOGAN WHEN HE HAD MR MATTENS ON LOAN.. 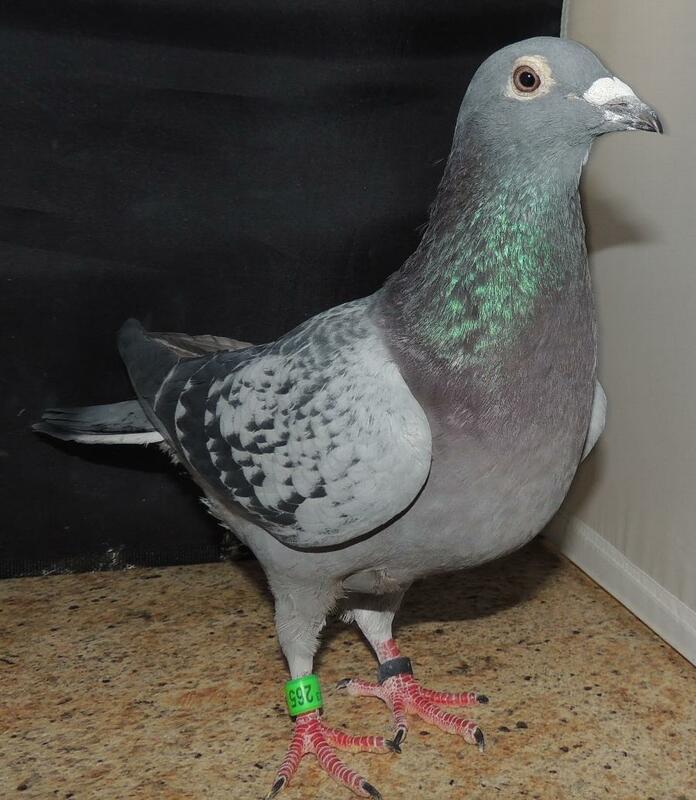 HERE IS WHAT ONE WOULD CONSIDER A SUPER PIGEON. SHE IS FROM SIR MATTENS A DIRECT SON OF THE GOLDEN MATTENS BEFORE MIKE GANUS BOUGHT THE GOLDEN MATTENS. HE HAS PRODUCED 34 FIRST PLACE WINNERS AND IS STILL FILLING EGGS. HE IS NOW 18 YEARS OLD. 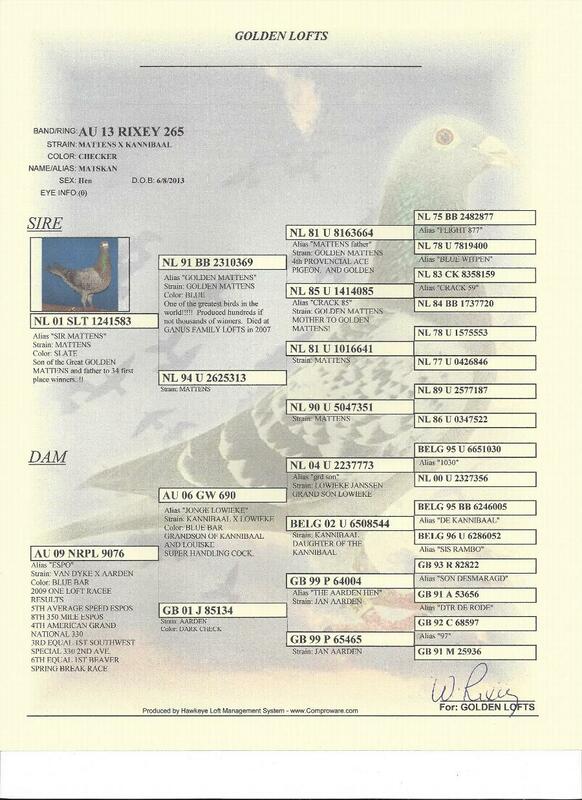 ON THE HENS SIDE IS A NEMELKA PIGEON THAT TOOK 5TH AVERAGE SPEED IN THE ESPO RACE IN 2009. YOU CAN SEE HER RESULTS ON THE PEDIGREE.